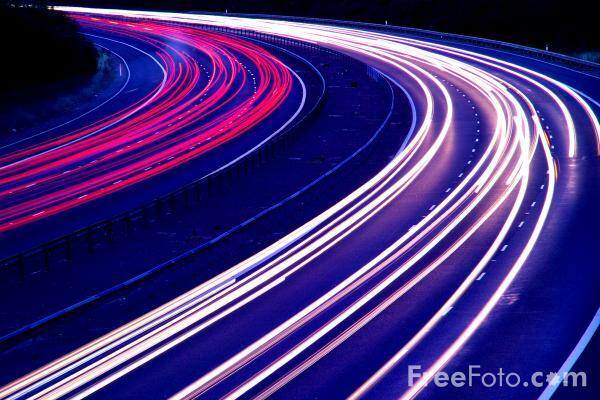 Photograph of the M25 London Orbital Motorway at night. The M25 is known as the world's biggest car park and inspired the Chris Rea song The Road to Hell. It is thought to be Europe's busiest motorway: an estimated 200,000 vehicles a day make use of it. VIEW: More images from the category M25 Motorway or around the same time .